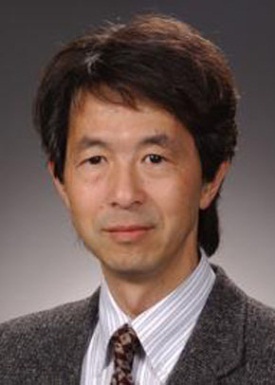 Dr. Yoshi Ohno is the Group Leader for Optical Sensor Group, Optical Technology Division, National Institute of Technology (NIST) in USA. His group maintains the units of lumen, candela, and other photometric units as well as detector standards and the colorimetric scales. He received his Ph. D. in engineering from Kyoto University, Japan. He started his career as a researcher at Lighting Research Laboratory of Panasonic, Osaka, Japan, before joining NIST in 1992. He has over 100 publications in the field of photometry and colorimetry. He is a Fellow of Illuminating Engineering Society of North America (IESNA). He is also the Director of CIE Division 2 (Physical Measurement of Light and Radiation) and also active in standards committees in CIPM (International Committee of Weights and Measures), ANSI, and IESNA. He is recently very active in solid state lighting, he is also the primary authors of IES LM-79 and ANSI C78.377. He has received various awards including CIE de Boer Gold Pin Distinguished Service Award in 2007. Since 1976 he has been working for Philips in the lighting sector in several roles within product development, business development, product management and marketing. In his current role, he manages Philips Lighting worldwide activities on operational sustainability, strategic sustainability initiatives, collection and recycling, lobby for legislation and regulations and standards. He also manages the relationships with other industries through associations and consortia. In 2001 he became a member of the Board of Directors and President of the European Lamp Companies Federation - the major discussion partner for the European Union on all issues concerning light sources. In 2013, he was elected as Vice President of LightingEurope. Because the huge changes in the lighting world of LEDs and Connectivity requires also new approaches in standardization, he took the initiative to create new alliances like Zhaga and The Connected Lighting Alliance. In March 2012, Jan has been elected as President of the Global Lighting Association, a cooperation between peak lighting industry associations worldwide, like CALI, NEMA, LightingEurope, ELCOMA, JLMA, Lighting Council, TLFEA, ABILUX, KILT, etc. LED lighting causes paradigm shifts in the lighting industry around the globe that have consequences for eco systems, cooperation models, standardization activities and required governmental stimulation and regulations.